A haven surrounded by breathtaking natural beauty at the southern edge of South Africa, Cape Town is a place of fascinating contrasts punctuated by incredible sightseeing opportunities. Riviera Suites offers a fantastic starting point for all your explorations. 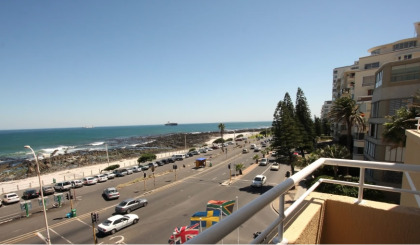 With glorious sea views in front and majestic mountains in back, paired with a prime location on Sea Point's Millionaire's Mile, everyone will enjoy this Cape Town resort. From your Riviera Suites timeshare, famous Table Mountain is a great place to begin your adventures. Take cable cars to the top and be awed by glorious scenic views. Lovers of cultural pursuits enjoy visiting sites like the District Six Museum, the Iziko South African Museum and the South African National Gallery. Get outdoors and visit the beautiful Kirstenbosch National Botanical Garden, the Lighthouse at Green Point, and take a city tour and visit the breweries and wine-lands of Franschhoek and Stellenbosch. Enjoy catching a helicopter ride at the V&A Waterfront. 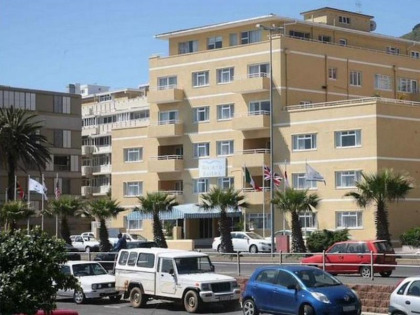 With so many exciting sports options like golf, mini-golf, volleyball, hiking, mountain biking, parasailing in tandem from Lion's Head Mountain and rappelling at Lion's Head, or even tamer pursuits like ice skating at the Grand West Casino, visitors never run out of things to do! After your adventures, come back to the ultimate in comfort and relaxation. With Riviera Suites you can choose from studios to three bedroom apartments with amenities like well-stocked kitchens, king size beds, Internet, television with DVD players, and ceiling fans. All of the details matter when you’re looking for a comfortable holiday, so linens, hair dryers, laundry facilities and car rental services are all available, as well as child care, valet parking and 24 hour security. Beach access is easy and, close to the resort, you'll find a casino, entertainment, a wealth of night life options, delectable restaurants, golf and tennis. Intriguing points of interest combined with excellent amenities make your decision to buy a Riviera Suites timeshare unit an easy one. Choosing to buy or rent on the resale market gives you premium options at discounted prices. Adventure lovers enjoy visiting a premier whale watching location called Hermanus. This is also a great base from which to organize a shark cage diving expedition. The Two Oceans Aquarium teaches lessons in aquatic life here, at the meeting point of the Atlantic and Indian Oceans. A trip to Cape Town South Africa is full of wonder, inspiration and memory-making opportunities to thrill everyone. Contact Riviera Suites Specialist Today!